This was a fun prompt because most of my “oldies” are pink from before I did nail art! I used 2 coats of Sephora by OPI Metro Chic as my base. 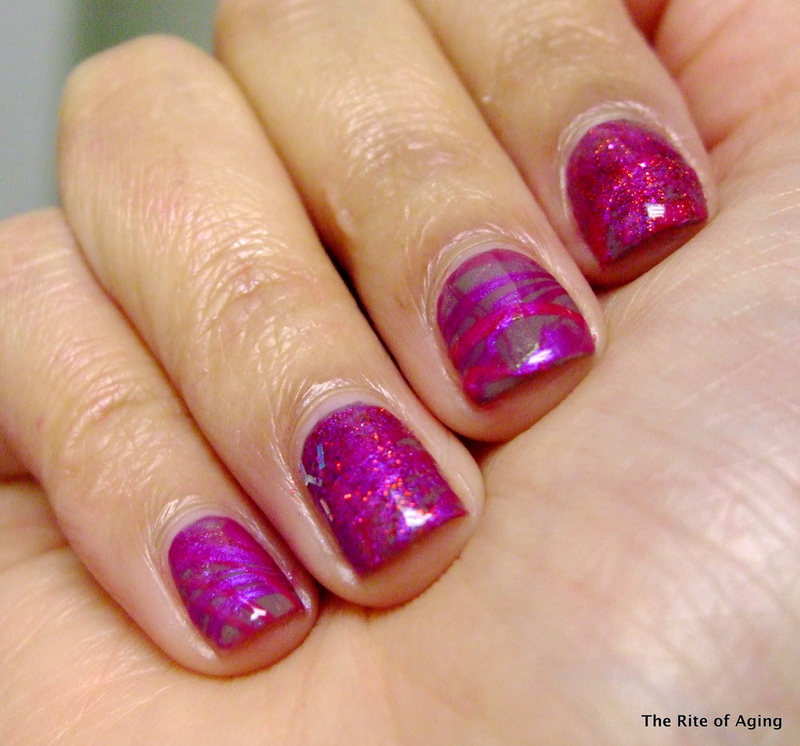 I marbled with China Glaze Fuchsia, Caribbean Temptation and Zoya Reece. Question: I cannot marble with Zoya polishes to save my life. China Glaze polishes work so well. Does anyone have any tricks for Zoya polishes?